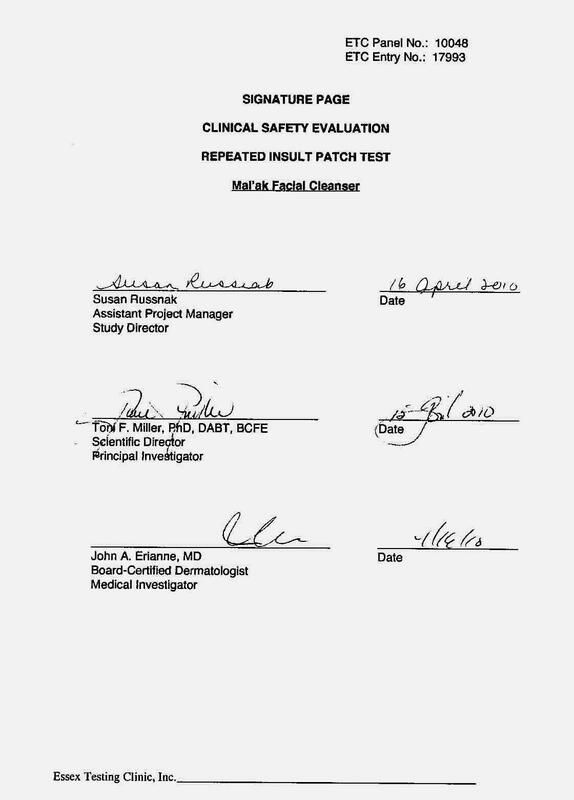 “Under the condition of a repeated insult (occlusive) patch test procedure, Test Article: Mal’ak Facial Cleanser was “Dermatologist-Tested” and was not associated with skin irritation or allergic contact dermatitis in human subjects”. 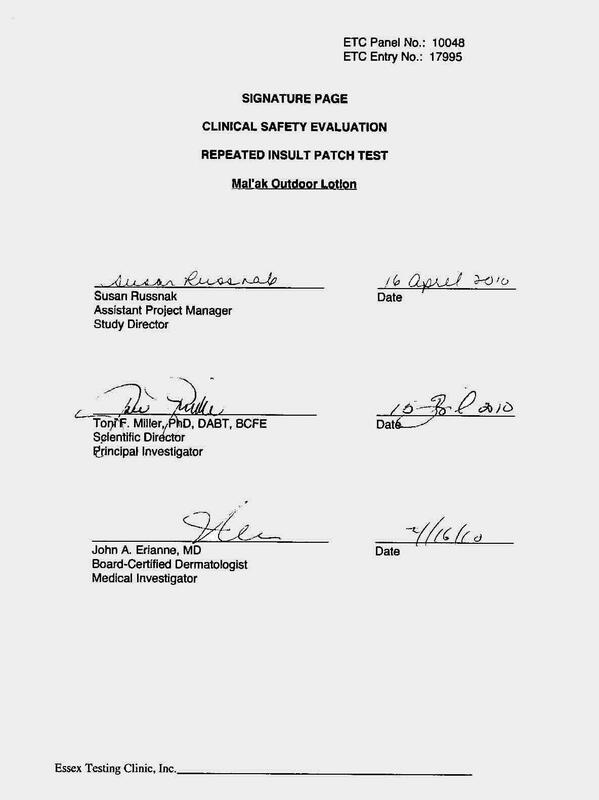 "Under the conditions of a repeated insult (occlusive) patch test procedure, Test Article: Mal’ak Outdoor Lotion was ”Dermatologist-Tested” and was not associated with clinically significant skin irritation or allergic contact dermatitis in human subjects". 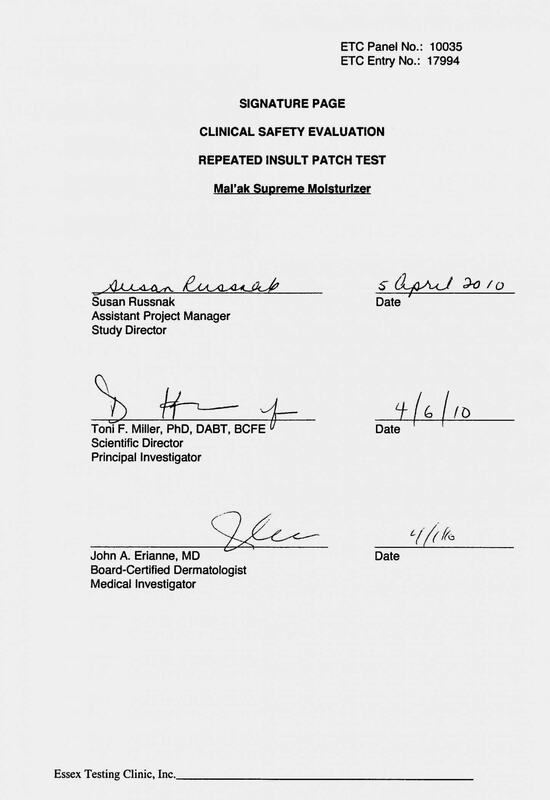 "Under the conditions of a repeated insult (occlusive) patch test procedure, Test Article: Mal’ak Supreme Moisturizer was “Dermatologist-Tested” and was not associated with skin irritation or allergic contact dermatitis in human subjects."